NOTE: Light Stand is NOT included. This Swivel Caster Wheel Set made with heavy-duty construction, it is durable and solid enough. It is suitable for light stand with 22 mm diameter. It is easy to mount and take down, and it have plenty of swivel motion. 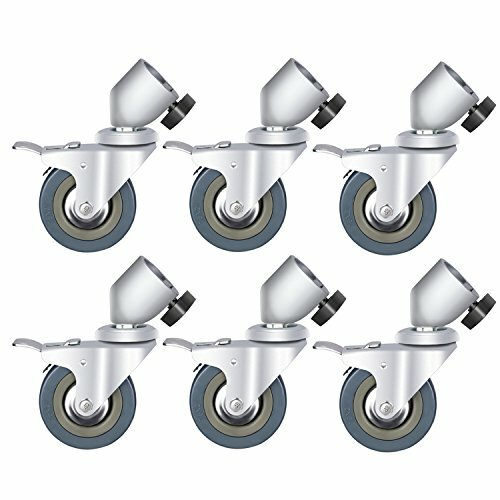 With step lock system to lock and release the wheels, its step on lock can make sure the security when using this wheel set.